This view looks at the newly-built Nevada State Capitol building in 1871. The photo was taken from the balcony of the Ormsby House, so it gives us a slight elevation advantage. 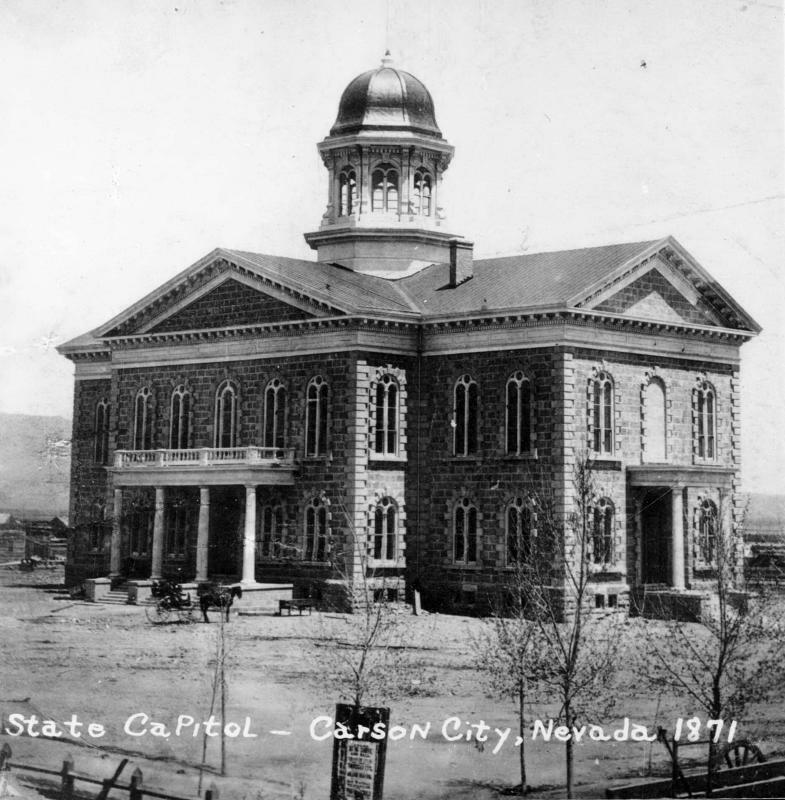 The statehouse was built on what had been a scrubby clearing at the center of town. Still the grounds are dirt and only a few trees have been planted. At the bottom you can see the old wooden fence surrounding the Capitol. It would be replaced by iron in 1875. Carson City is still desolate here. Behind the Capitol on either side you can see the empty expanses of the Eagle Valley stretching off towards the mountains.